We are located directly off of I-291 and I-84. 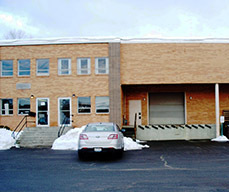 The Hartford, CT location serves the entire Greater Hartford region including the cities of Norwich, New Haven, Danbury and Waterbury. The branch also serves Springfield, Massachusetts. Continental Carbonic Products, Inc. in Hartford, CT is one of 46 locations in the U.S. and Canada where you can buy dry ice in both cut block and pellet form. Continental Carbonic offers the highest quality, food grade dry ice in the industry.